To gain trust and establish a successful client relationship a solid legal background and analytical skills are just half the story. The other half includes distinct communication and active listening skills, flexibility and creativity. How is an effective professional relationship established? How does the lawyer elicit relevant information from the client? Is he developing an appropriate balance in dealing with the legal and emotional needs of the client and does he give attention to the client’s emotional aspect of the problem at all? Are potential economic, social and psychological consequences taken into account when advising a client? 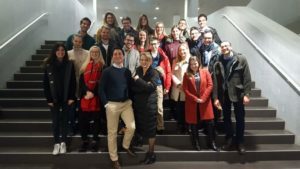 Although these skills are the basics for a successful legal career other than in the UK for example, they are still not part of the academic legal education in Switzerland. It seems lawyers are expected to be naturals when it comes to communication. Reality of countless interviews with junior and senior lawyers over the last 10 years proves to be different, which is why I advocate for offering professional training on the job – at least until students are provided the opportunity of gaining communication and consultation skills during their studies. 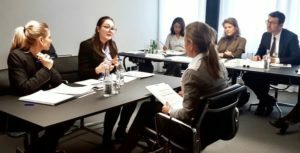 The Swisscompetition on Client Consultation organised last Friday by Lawbility at the premises of Lenz & Stähelin in Zurich offered the participating students an excellent platform to demonstrate these essential soft skills in a real life scenario in front of a jury of experienced lawyers and coaches. The expert feedback was well appreciated, relevant lessons not only on verbal, non-verbal communication were learned and the networking did not go short. Congratulations to the winners Lukas Breu und Clemens Bürli who will represent Switzerland at the International Client Consultation Competition ICCC in April 2018 at Maastricht University Faculty of Law.